I’ve written about the online filter bubble for a while now. It’s an insidious and disturbing consequence of our online world. It refers to the phenomenon whereby our profile, personal preferences, history and connections pre-select and filter the type of content that reaches us, eliminating things we don’t need to see. The filter bubble reduces our exposure to the wider world of information and serendipitous discovery. If this were not bad enough the online world enables a much more dangerous threat — one of hidden bias through explicit manipulation. We’re all familiar with the pull and push exerted by the constant bombardment from overt advertising. We’re also familiar with more subtle techniques of ambient and subliminal control, which aim to sway our minds without our conscious awareness — think mood music in your grocery store (it really does work). So, now comes another more subtle form of manipulation, but with more powerful results, and it’s tied to search engines and the central role these tools play in our daily lives. Online search engines, such as Google, know you. They know your eye movements and your click habits; they know your proclivity to select a search result near the top of the first search engine results page (SERP). 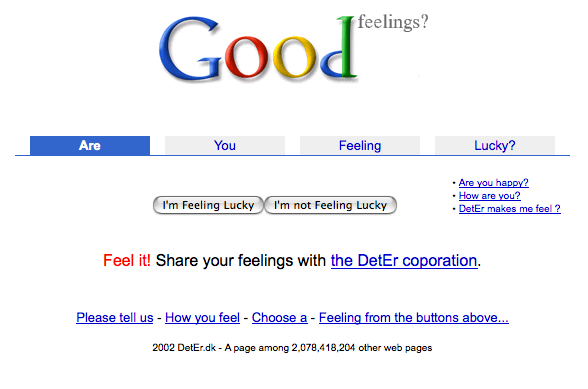 Advertisers part with a fortune each day with the goal of appearing in this sweet spot on a SERP. This is a tried and tested process — higher ranking on a SERP leads to more clicks and shifts more product. Google and many other search engines will list a handful of sponsored results at the top of a SERP, followed by a collection of random results listed in order that best fit your search query. Your expectation is that these results are tailored to your query, but that they’re non-biased. That’s the key. New research shows that you believe these SERP results to be non-biased, even if they are manipulated behind the scenes. Moreover, these manipulated results can greatly sway your opinion. The phenomenon now comes with a name, the search engine manipulation effect, or SEME (pronounced “seem”). In the wrong hands — government overlords or technology oligarchs — this heralds a disturbing possible (and probable) future, already underway in countries with tightly controlled media and flows of information. Check out a detailed essay on SEME by Robert Epstein here. Epstein is an author and research psychologist at the American Institute for Behavioral Research and Technology in California. 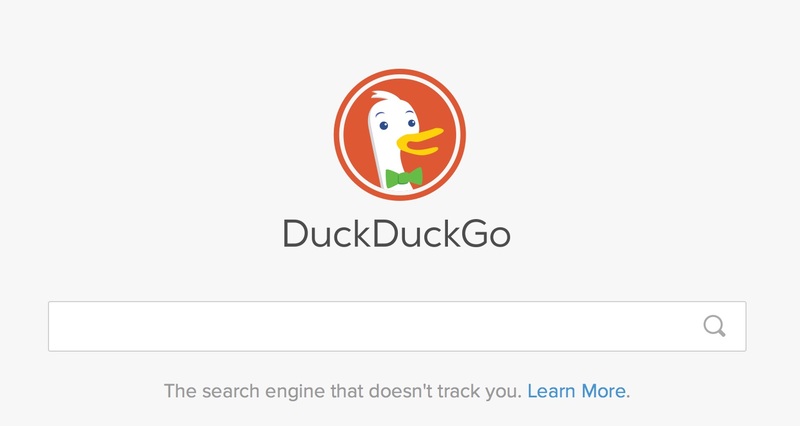 Finally, if you’re interested in using an alternative search engine that’s less interested in taking over the world, check out DuckDuckGo. Humans are habitual creatures. Even our collective searches on Google show a familiar regularity. The charts below plot our autumnal, internet-enabled consciousness, courtesy of Jennifer Jacquet over at Guilty Planet / Scientific American. Good news, if you haven’t noticed, has always been a rare commodity. We all have our ways of coping, but the media’s pessimistic proclivity presented a serious problem for Jurriaan Kamp, editor of the San Francisco-based Ode magazine—a must-read for “intelligent optimists”—who was in dire need of an editorial pick-me-up, last year in particular. His bright idea: an algorithm that can sense the tone of daily news and separate the uplifting stories from the Debbie Downers. Talk about a ripe moment: A Pew survey last month found the number of Americans hearing “mostly bad” news about the economy and other issues is at its highest since the downturn in 2008. That is unlikely to change anytime soon: global obesity rates are climbing, the Middle East is unstable, and campaign 2012 vitriol is only just beginning to spew in the U.S. The problem is not trivial. A handful of studies, including one published in the Clinical Psychology Review in 2010, have linked positive thinking to better health. Another from the Journal of Economic Psychology the year prior found upbeat people can even make more money. Web semantics developers in recent years have trained computers to classify news topics based on intuitive keywords and recognizable names. But the slant engine dives deeper into algorithmic programming. It starts by classifying a story’s topic as either a world problem (disease and poverty, for example) or a social good (health care and education). Then it looks for revealing phrases. “Efforts against” in a story, referring to a world problem, would signal something good. “Setbacks to” a social good, likely bad. Thousands of questions later every story is eventually assigned a score between 0 and 1—above 0.95 fast-tracks the story to Ode’s Web interface, called OdeWire. Below that, a score higher than 0.6 is reviewed by a human. The system is trained to only collect themes that are “meaningfully optimistic,” meaning it throws away flash-in-the-pan stories about things like sports or celebrities. It’s hard to believe that internet based search engines have been in the mainstream consciousness for around twenty years now. It seems not too long ago that we were all playing Pong and searching index cards at the local library. Infographics Labs puts the last twenty years of search in summary for us below. “There is only one way to turn signals into information, through interpretation”, wrote the computer critic Joseph Weizenbaum. As Google’s hegemony over online content increases, argues Geert Lovink, we should stop searching and start questioning. A spectre haunts the world’s intellectual elites: information overload. Ordinary people have hijacked strategic resources and are clogging up once carefully policed media channels. Before the Internet, the mandarin classes rested on the idea that they could separate “idle talk” from “knowledge”. With the rise of Internet search engines it is no longer possible to distinguish between patrician insights and plebeian gossip. The distinction between high and low, and their co-mingling on occasions of carnival, belong to a bygone era and should no longer concern us. Nowadays an altogether new phenomenon is causing alarm: search engines rank according to popularity, not truth. Search is the way we now live. With the dramatic increase of accessed information, we have become hooked on retrieval tools. We look for telephone numbers, addresses, opening times, a person’s name, flight details, best deals and in a frantic mood declare the ever growing pile of grey matter “data trash”. Soon we will search and only get lost. Old hierarchies of communication have not only imploded, communication itself has assumed the status of cerebral assault. Not only has popular noise risen to unbearable levels, we can no longer stand yet another request from colleagues and even a benign greeting from friends and family has acquired the status of a chore with the expectation of reply. The educated class deplores that fact that chatter has entered the hitherto protected domain of science and philosophy, when instead they should be worrying about who is going to control the increasingly centralized computing grid. What today’s administrators of noble simplicity and quiet grandeur cannot express, we should say for them: there is a growing discontent with Google and the way the Internet organizes information retrieval. The scientific establishment has lost control over one of its key research projects – the design and ownership of computer networks, now used by billions of people. 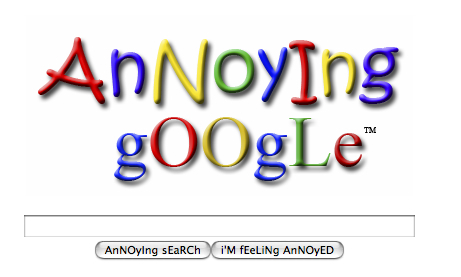 How did so many people end up being that dependent on a single search engine? Why are we repeating the Microsoft saga once again? It seems boring to complain about a monopoly in the making when average Internet users have such a multitude of tools at their disposal to distribute power. One possible way to overcome this predicament would be to positively redefine Heidegger’s Gerede. Instead of a culture of complaint that dreams of an undisturbed offline life and radical measures to filter out the noise, it is time to openly confront the trivial forms of Dasein today found in blogs, text messages and computer games. Intellectuals should no longer portray Internet users as secondary amateurs, cut off from a primary and primordial relationship with the world. There is a greater issue at stake and it requires venturing into the politics of informatic life. It is time to address the emergence of a new type of corporation that is rapidly transcending the Internet: Google. The World Wide Web, which should have realized the infinite library Borges described in his short story The Library of Babel (1941), is seen by many of its critics as nothing but a variation of Orwell’s Big Brother (1948). The ruler, in this case, has turned from an evil monster into a collection of cool youngsters whose corporate responsibility slogan is “Don’t be evil”. Guided by a much older and experienced generation of IT gurus (Eric Schmidt), Internet pioneers (Vint Cerf) and economists (Hal Varian), Google has expanded so fast, and in such a wide variety of fields, that there is virtually no critic, academic or business journalist who has been able to keep up with the scope and speed with which Google developed in recent years. New applications and services pile up like unwanted Christmas presents. Just add Google’s free email service Gmail, the video sharing platform YouTube, the social networking site Orkut, GoogleMaps and GoogleEarth, its main revenue service AdWords with the Pay-Per-Click advertisements, office applications such as Calendar, Talks and Docs. Google not only competes with Microsoft and Yahoo, but also with entertainment firms, public libraries (through its massive book scanning program) and even telecom firms. Believe it or not, the Google Phone is coming soon. I recently heard a less geeky family member saying that she had heard that Google was much better and easier to use than the Internet. It sounded cute, but she was right. Not only has Google become the better Internet, it is taking over software tasks from your own computer so that you can access these data from any terminal or handheld device. Apple’s MacBook Air is a further indication of the migration of data to privately controlled storage bunkers. Security and privacy of information are rapidly becoming the new economy and technology of control. And the majority of users, and indeed companies, are happily abandoning the power to self-govern their informational resources. theDiagonal is a personal blog by Mike Gerra, skeptic, technologist, psychologist, artist, author, humanist, collector of eclectic ideas. theDiagonal blog connects and explores big science, disruptive innovation, global sustainability, illuminating literature and leftfield art. It is on this diagonal that creativity thrives, grand ideas take flight and reason triumphs. Are FRBs Created by Aliens? Are You Smarter Than My Octopus? Fake News: Who’s Too Blame? How and Why Did Metamorphosis Evolve?